Florida statute 112.18, commonly referred to as Florida’s Heart and Lung bill, offers firefighters, law enforcement agents, and Florida correctional officers workers’ compensation benefits for health complications related to heart and lung issues. However, in order to qualify for these benefits, state employees must have passed a physical examination, upon being hired, clearing them of any such health complication. When Does the Heart and Lung Bill Apply? Assuming that you had a clean bill of health in terms of heart and lung complications, you are eligible for these benefits because it is assumed that the condition occurred because of the work you performed. Specifically, the statute states that, “Any condition or impairment of health . . . caused by tuberculosis, heart disease, or hypertension resulting in total or partial disability or death shall be presumed to have been accidental and to have been suffered in the line of duty unless the contrary be shown by competent evidence.” Note that there must be partial or total disability (or death) in order to be eligible for the benefits under this bill. When is a Heart or Lung Condition Not Covered by the Bill? Because it is always first presumed that the condition was caused by the employee’s line of work, the burden of proof to deny coverage lies with the employer. Your employer must offer competent substantial evidence that your employment was not the cause of the condition, and that the hypertension, lung disease, or other illness was caused by obesity, tobacco, family history, or some other cause not related to your occupation. However, even if the condition was caused by work, and not an outside factor, that does not mean that your employer will not attempt to deny coverage by finding or creating contrary evidence. This is why an experienced attorney is a necessity for acquiring this workers’ compensation coverage. When are State Employees Ineligible for Benefits? 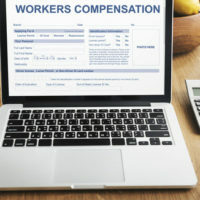 You were previously compensated under this statute or chapter and you departed from the prescribed treatment of a physician for the pre existing workers’ compensation claim, which significantly exacerbating the condition and level of impairment. In the years since its inception, the costs of this bill have exceeded policymakers’ initial expectations. Employers and their insurance companies push back hard against paying benefits, and firefighters and law enforcement unions across the state are struggling to get the financial support they deserve, according to USA Today. It has become more convoluted and difficult to acquire these benefits. As such, it is in your best interest to acquire the assistance of an experienced West Palm Beach workers’ compensation attorney with an adept understanding of statute the heart and lung bill. Do not hesitate to contact the lawyers of Celeste Law Firm today at 561-478-2447 for immediate assistance.